This piece is a departure for me, a challenge to use a material I normally wouldn't, ceramic. 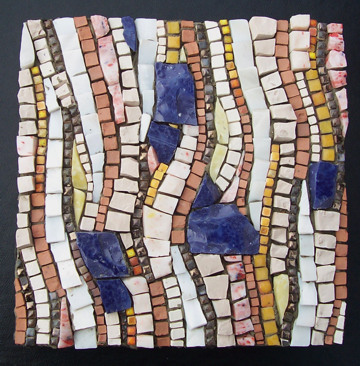 I have nothing against ceramic, it's just not something I generally use in mosaic. However, part of this process of mosaic a day is to stretch myself and push my boundaries, so I decided I work outside my normal box, just like I tell my Mosaic a Day students to do.